Dubai was purchased from Remitall in Canada in 2013. He is backed by generations of powerful prolific females. His daughters are very feminine with ideal udder and teat qualities. They are big, broody females with correct skeletal structure, thickness and notable length of hip. Dubai suffered a stifle injury early in his career and was used sparingly. His sons will be seeing heavy use in the future. 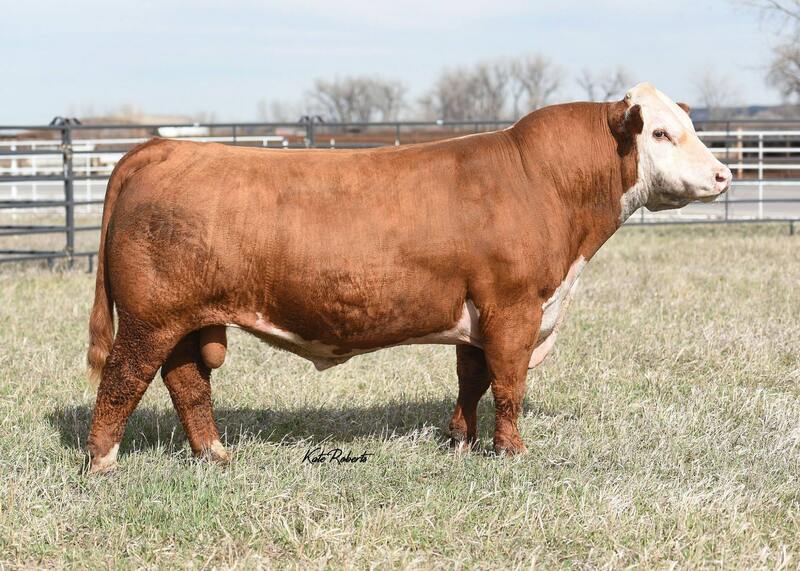 Sustain was purchased from Stuber Ranch in 2015 and has been used successfully on first calf heifers. His calves are vigorous at birth and get up and grow. His daughters are keepers and I expect them to be productive brood cows. He’s one of the best heifer bulls I’ve used in a long time. X357 has certainly done a good job over the last seven seasons he has been used. In 2018, his calves had an adjusted birthweight of 82 pounds and a birth ratio of 98. His bull calves had an adjusted 205 weaning weight of 601 and a weaning ratio of 97. X357 sires length, thickness, and frame and stamps his offspring with a stylish look. His daughters are big-volume feminine females that look to be productive for many years. 1321 was used successfully on first calf heifers. 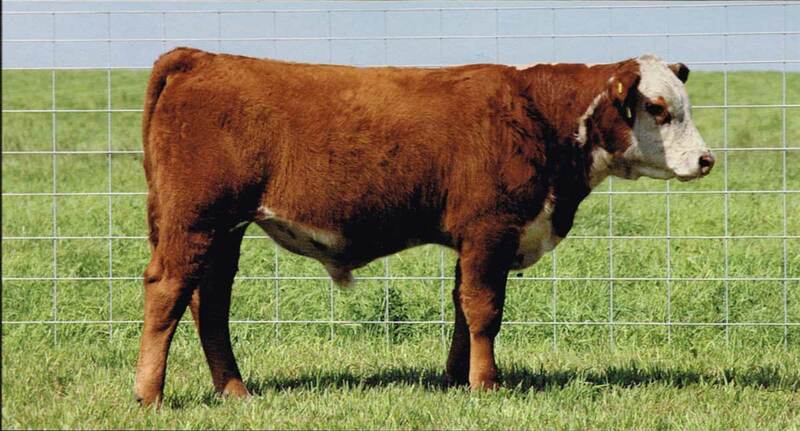 He was bred by Shafer Herefords in Minnesota, long time Hereford ranchers. 1321’s linebred pedigree represents many years of careful selection and a cowman’s common sense. Use his bulls on first calf heifers or cows. AI sire bred by Copeland and Sons, NM. Flintlock is a paternal brother to the 2017 NWSS Grand Champion bull. Flintlock is a free moving, muscular bull that stamps his calves with style. 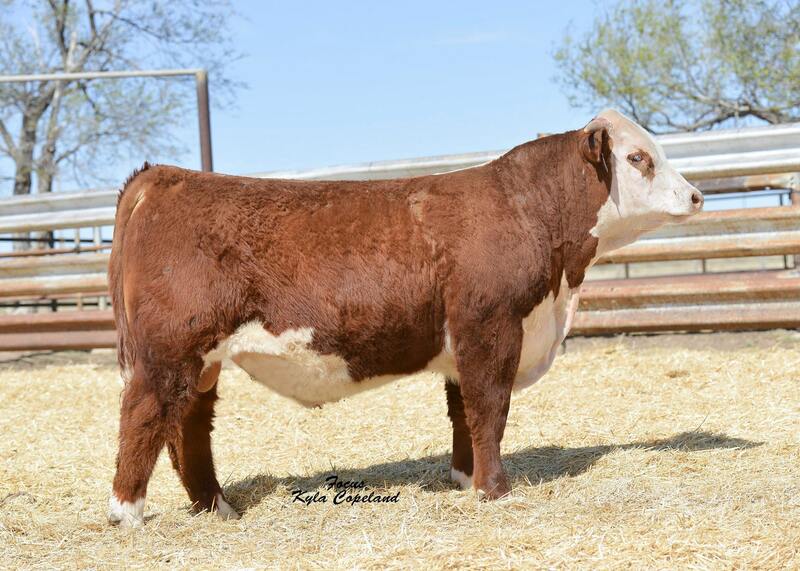 HH Sterling D434 is a top-performing son of SR Sterling 852Z with a set of numbers that are hard to beat. His calves come light, wean heavy, and grow after weaning.